If you are planning removals to Chelsea with a large family or from outside the London area, then it can often be of real benefit to make use of storage during your move. This will mean that you can store a number of your essentials in the local area prior to moving day, and will have everything close at hand once you have moved into your new home. Call Removals London on 020 8746 4334 today to see how our local facilities can help make your relocation more convenient. What Are The Benefits Of Our Services in Chelsea? Our flexible and varied storage facilities have a number of uses for those looking to relocate into the SW3 areas. First, by hiring one of our facilities, you can make the actual process of moving much less stressful. Strat in advance of moving day and get the most difficult items out of your old home and into storage ready for transfer to your new one. This is also applicable should you be relocating to the area from outside London or from a long distance away. Rather than trying to get all of your items moved on your moving date, you can make use of our facilities to store your items in advance, thus breaking up the removals into more manageable sections and saving costs on removal vehicles. Should you need to do any work on your new home in SW10 district, our storage facilities can simply look after your items until you complete the work. This way, you have peace of mind that your items are not only close by and easy to pick up when you need them, but also that they are safe and secure. You can return them to your new home in the same condition you left them with us. We do our utmost to cater to all customer requirements, whether you need to make use of our storage options in the SW3 region for a long or short period of time. Making use of storage is also perfect for those who may be downsizing, or need to get rid of some items after the house removals, as we can hold such items until you find an available buyer/space in your new home. Chelsea was, in historic times, known as a bohemian area of the city, being home to a number of artists, actors and musicians. Nowadays, it is well known for being a very affluent part of the city, with a number of homes belonging to the rich and famous located there. As part of the Royal Borough of Kensington and Chelsea, the area has highly sought after properties and high prices as a result. 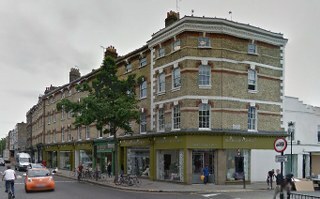 Chelsea is also home to the largest American community in London. The area is well connected by train, tube and road to both nearby districts like Battersea, South Kensington, Pimlico and Clapham as well as the rest of the city. One thing that any potential resident of Chelsea should bear in mind when moving into the area is that residential parking permits will be required. We recommend applying and obtaining one in advance of your removals, because any vehicles hired by you during moving day will also be covered by your permit, or not if you don’t have one. Lack of a permit can mean that if any of our removal vehicles incur penalty charges, you will be liable, so it is worth your time to check the local council website and apply for a permit once your moving date is set. Hire Our Services in Chelsea To Ease The Burden Of Your Relocation! Remember, making use of Removals London’s storage facilities can take some of the strain off when moving home to SW10 region. So, don’t hesitate to call us on 020 8746 4334 right away and find out how our variety of removals and storage solutions can work for you. Our friendly staff will help you choose the right service for you and answer any questions you might have.